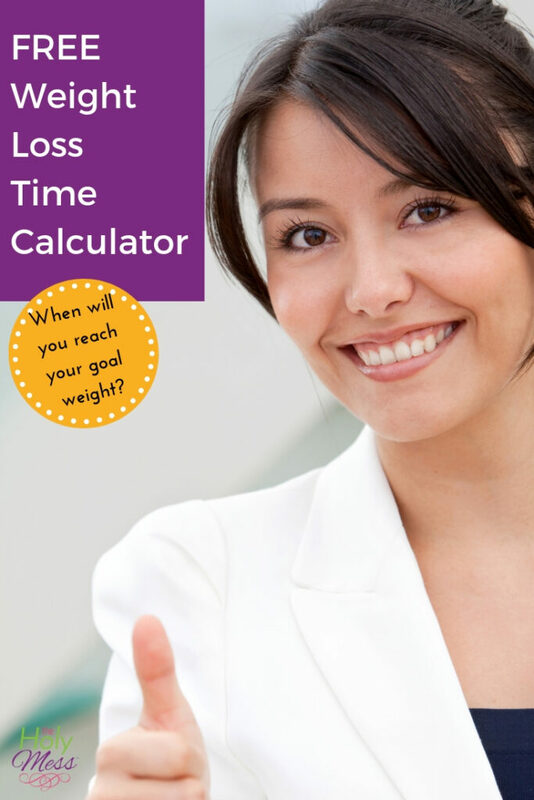 If you are on a weight loss journey, one of the first things you might do is calculate how long it will take for you to get to your goal weight. 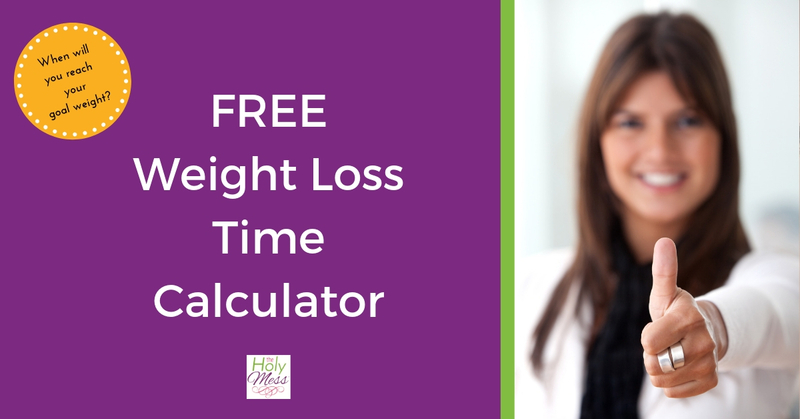 Use our free weight loss calculator to figure out how long it will take to get to your goal weight. 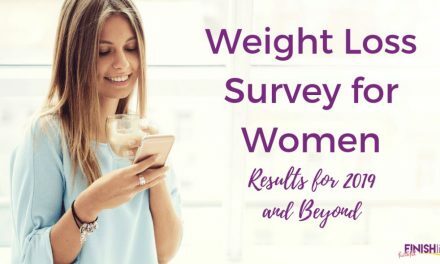 As someone who leads an online weight loss program for women, the truth is I cringe a little when I read about people figuring how long it will take them to get to their goal weight. Here’s why. There are so many factors that affect weight loss. My concern is that you will get discouraged and quit if your progress stalls or doesn’t move at the pace you feel is a fast enough pace. While it’s true that this type of thinking can be a bit mentally unhealthy, it’s also motivating, and when it comes to weight loss we all know that motivation matters. If you find yourself continually frustrated that you don’t have the motivation to lose weight, I’ve got news for you. Motivation (or will-power) eventually runs out for every person. As a Christian, a key part of my weight loss has been learning to rely on God’s help during times when my motivation runs dry. I can’t do this difficult thing by my own (limited) power, but I can rely on His (limitless) power. If you find that you desire to lose weight but you aren’t getting the progress you desire, check your habits. Success is about the tiny little things you do over and over every single day. Start with one small habit, make a positive change, then move on to the next one. We’ve created these One Small Change note cards to help you with this. That helpful tidbit has stuck with me all these years later. The scale provides information. Take it and use it to move you toward your goals. Here are some helpful weigh in tips for you as you move toward your goal weight. Weigh yourself at the same time on the same day as much as possible. However, it’s better to weigh on a different time and day than skip the weigh in all together. Consider clothing. I know some people who wear the exact same outfit to weigh in every week, all year long. This seems a little (okay a lot) extreme to me, but if it works for you, go for it. Whether you do this or not, it is helpful to realize bulkier clothing might add up to a pound to your weight. Remember that fluid retention can cause huge changes. 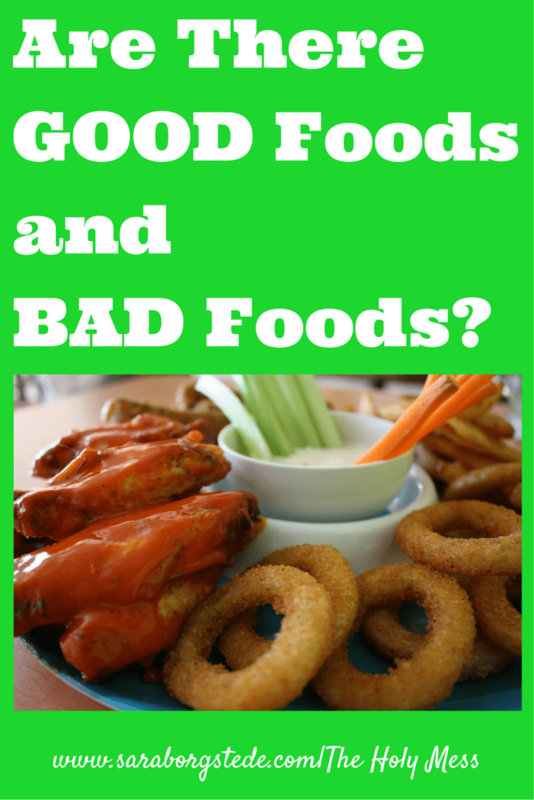 Time of the month, salty foods, medication, and reasons unknown all affect the fluid level in your body. You’ll never figure out the exact reason for many weight fluctuations. My weight can easily fluctuate by as much as 5 pounds from day to day. If I wasn’t prepared, it could throw me for an emotional loop. Gains happen. I’ve read about people who say they never had a gain week during their weight loss journey. Bully for them. That’s nothing like what mine looked like, and yours probably won’t either. People do all kinds of crazy things the day before a weigh in – Drink less water, drink more water, don’t eat meat, don’t eat take out, don’t eat Chinese food, don’t eat at all (fasting), exercise, not exercise. Again, I think this is all taking it a little too far. Be careful of the healthy diet until weigh in day then splurge for the next 2 days mentality. As a former binge eater, I know this cycle very well. 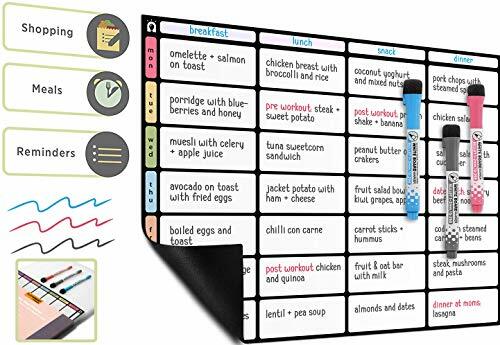 Make it your long-term goal to even out your eating throughout the week. Read more about the binge eating cycle here. Remember, the scale provides feedback. You are not your weight. If you aren’t losing weight over a period of time (6-8 weeks) check out this post for guidance to get you on track for weight loss. 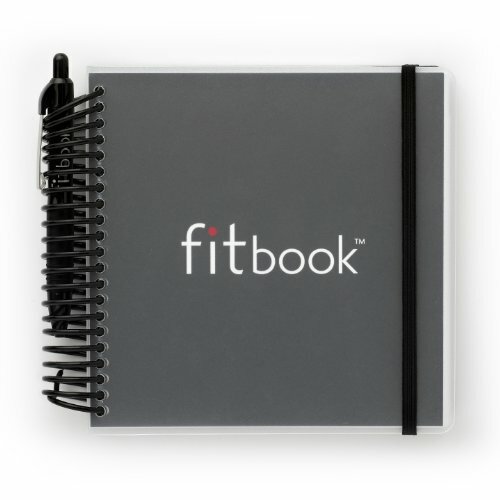 There are so many great apps and ways to track your weight loss these days. What’s measured can be changed, so tracking is a great idea. 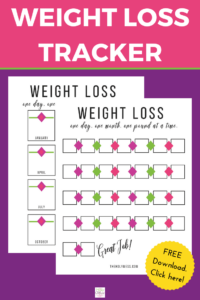 Click here for a free printable weight loss tracker. 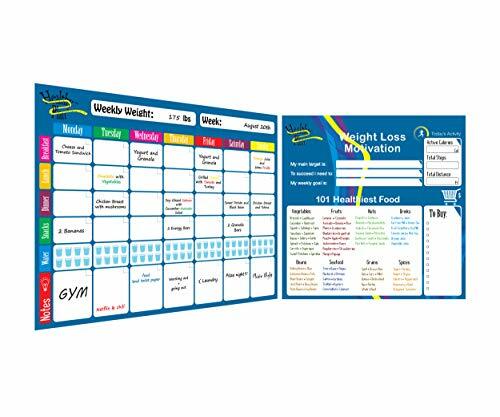 Download our free weight loss tracker for a visual motivator to continue with your healthy living choices. Also check out the app Happy Scale which shows you weight loss progress over time. Let’s talk about how to use this weight loss calculator. 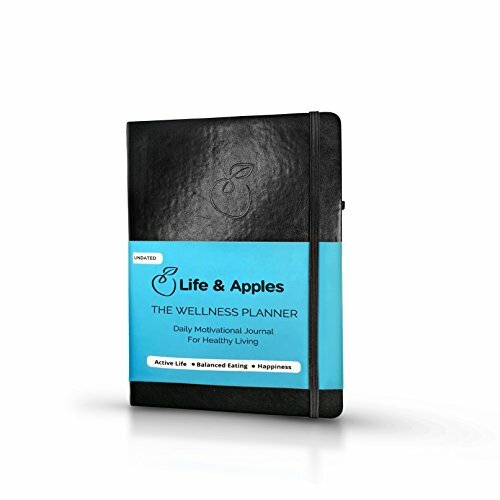 What I like about this calculator compared to others is that it shows you how many extra calories you need to burn each day in order to get to your weight loss goal in an appointed time. What’s good about this is that I think it gives a more realistic picture to the time involved in lasting weight loss. For most people, a calorie deficit of 300-500 calories per day is challenging yet reasonable. That means losing about 1 pound per week. I know that seems depressing if you have a lot of weight to lose. You want the weight gone and you want it gone yesterday. But the truth is that it took you time to gain the weight and it will take you time to lose it. Slow, steady weight loss is realistic and healthy and you’re more likely to maintain it, as well. 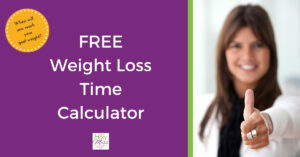 Use this weight loss calculator to track your weight loss and predict when you will reach your goal weight. Remember to use this as a basic guide for motivation but don’t hold on to it too strongly. 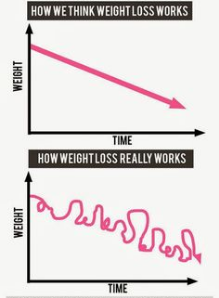 Now you have a helpful guide for when you can expect to reach your goal weight. What keeps you motivated for weight loss during your journey? Share in the comments below. 100 Pound Weight Loss – How Did You Do It?